In a few hours from now, the 50 lakhs Central government employees will get to know whether the Narendra Modi government has paid heed to their demands or not. While the excitement and doubt among the CG employees have taken the centre stage of their discussion, there is no hint from the government yet over the matter. So, what are the expectations… will there be an announcement? 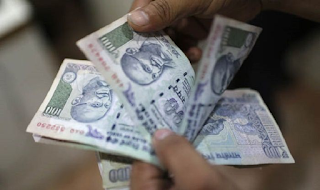 In case, the Centre agrees to the demands of the Central Government employees and announces a hike then the fitment factor will see an increase of up to 3.68 times and the minimum pay will rise by up to Rs 8,000 to reach Rs 26,000. Even though there is no confirmation from the concerned department, rumours are making rounds that there is possibility of an announcement as the saffron party will not take risk of disappointing the employees at a time when the general elections are around the corner. Recently, the International Monetary Fund (IMF) had said that the Indian economy is getting stronger and labelled the country as one the fastest growing economies in the world for 2018 at 7.4 per cent. Rating agency like Fitch had also showed confidence on Indian economy and predicted growth to accelerate to 7.3 per cent in 2019 fiscal. Besides, seventh pay benefits have been announced in several BJP-ruled states recently. So, expectation of an announcement in this regard seems quite feasible irrespective of the extra burden it will put on the exchequer. Let us pray that our Nation witness record development and reaches new heights in the years to come. Jai Hind!